People make mistakes that ruin their vacation. All these mistakes are avoidable. I hear Disneyland horror stories and cringe. Disneyland could be fun but Disneyland can be miserable if you make it. Here are ten ways you are ruining your vacation. 1. Over-planning your trip will ruin your vacation. Disneyland is much smaller than Disney World. You need not plan everything you will do in advance. Disneyland is amazing when you go with the flow. You never know when a character may pop up or the Disneyland Band may play. Realize the spontaneity of Disneyland is what makes Disneyland so fun. Small children don’t understand the concept of time management. A lot of frustration and melt downs come from not being flexible. So read my post on not how to wait in line here. Combine a FastPass with a single rider attraction. The single rider feature saves so much time. After you get a FastPass use, the single rider line nearby while waiting to redeem the FastPass. This saves time and allows you take things at your own pace. Stop for unplanned snacks, attractions, shows, or whichever activity seems fun and relaxing. Wing it because scheduling takes the fun out of things. 2. Booking a dining reservation for every single meal which gets expensive. Table service dining can be time consuming. Make reservations for most meals. But do not forget a lot of Disneylands amazing food is quick service locations. It will save time and money. Go to Plaza Inn for lunch or dinner. Try the Grilled Cheese and Tomato Soup at Jolly Holiday. These are great Disneyland experiences you may miss otherwise. Leave lunch open if you can so you can eat whenever and wherever you want. You can pick a restaurant you may not have tried and save a little time. I love table service but it takes longer to eat. Disneyland has many amazing things to do. An extra half an hour at a restaurant can mean missing out. 3. Matching family shirts many cast members dislike and are not always effective. I have seen hundreds of different families wearing the same if not similar shirts before. The last time I went I counted 7 families wearing the same shirt print and color in a three hour span. If the point was to make to find your family if someone gets lost matching shirts may not help. If you want to match, then opt for matching family buttons or coordinate with a color of the day. Disneybound if you want to match. Kids who are wearing costumes stand out. If you lose your son in a red shirt and jeans or you lose a little Gaston. Who is easier to spot? Target has Disney costumes cheap and costumes are easy to find second hand. Kids in costumes receive more attention when interacting with characters and cast members. 4. Thinking you must do everything. If you dislike fireworks skip them. Don’t like Frozen? Don’t watch the show. Skip things that do not appeal to you including rides. 5. Spending too much time taking pictures and videos. It is harder to enjoy a parade through a camera lens. Taking pictures is important but so is your experience. Remember YouTube videos and photos of almost everything Disneyland has online. Take pictures when they matter and enjoy your family and friends. Stay off your phone if you can because it is a distraction. A social media post from Disneyland is awesome, but not everything. Splurge for a MaxPass and let the Disneyland photographers do the work for you. MaxPass is $15 per day but buying one entitles you to your PhotoPass photos. 6. Not installing the Disneyland app and Mousewaits before you arrive at Disneyland. These two apps alone can save you so much time. You can find characters, wait times, and much more. The line for a plaid (customer service) can get long. You may find the answers yourself. 7. Not taking breaks even if you don’t want to. Disneyland is fun but you’re on your feet most of the day which can be draining. You will walk two if not several miles a day take a 10-15 break every few hours no matter what. Return to the hotel for a nap as soon as you feel overheated or the kids look ready for a meltdown. Return to the hotel and go for a nice swim in the pool if the heat is making everyone miserable. Trust me everyone will be much happier this way. 8. Not getting enough sleep when you will get up early the next day. Skip coffee and caffeinated sodas later in the day it can keep you up at night. When you’re done for the night try to get to bed ASAP. When you are tired, it can make your trip a nightmare. Tried kids can make it even worse. When everyone tires, they will become miserable. A noisy hotel with cheap curtains can make a good nights sleep hard. Consider having a cheap white noise machine sent to your hotel. Because some hotels have sheer or cheap curtains pin a blanket over the window to make your room darker. Do not overlook all the discount stores near Disneyland like Wal-Mart. A cheap fan (white noise) and instant coco or decaf tea can make falling asleep in a hotel room easier. 9. Not packing your day bag with the right items is a huge mistake. Pack too much and you carry items you do not need or use. Not enough you may spend half the day wishing you had chapstick. Stick to the basic items you need during the day. Carry sunscreen, chapstick, meds, hand wipes, portable charger, a water bottle, and change. These may not be cheap or easy to buy once you arrive. 10. Not dressing for the weather or comfort can ruin your day. Wear shoes you can walk at least 5 miles in. Wear comfortable clothes. You may sweat or get wet so moisture wicking sports bras and exercise tops paired with jeans is a great idea. California can be hot during the day then become chilly at night. California is the desert. Dress for the weather and comfort do not dress for fashion. Adopting a relaxed stance about how you spend your time helps. 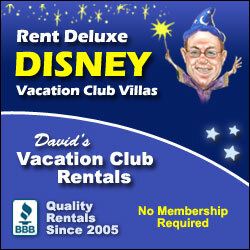 Be sure to get enough sleep and you will enjoy your Disney trip even more. How have your ruined your own Disney trip?